When honest people of normal psychology see somebody issuing a strenuous and categorical denial, they are confused, because in their world-view, that is what you do when you are innocent. Yet at the same time, they can see that these people are anything but innocent. And their confusion grows. I have no such problem – not because I am a dishonest person of abnormal psychology (far from it), but because when I am dealing with cheats, psychopaths and fraudsters, and I have dealt with a few of them in my time, I always bear in mind – at all times – that they are cheats, psychopaths and fraudsters and cannot be measured by the yardstick of normal people. I cannot look at them and assess their reaction on the basis of what I would do in their situation, for the simple reason that I would never be in their situation. That is what you have to remember at all times when listening to these fraudsters deny and lie: Brian Tonna, Keith Schembri, Konrad Mizzi, Joseph Muscat – the lot of them. You have got to start off from the base-point that just days after being elected to power, they set the process in motion to incorporate or acquire companies in Panama and the British Virgin Islands, and trusts in New Zealand, hidden behind a complicated structure of nominees, for the precise purpose of cheating and defrauding the very government of Malta they are meant to run, and its institutions and authorities, and the public they are meant to serve, the electorate who put them in power. Keith Schembri and Brian Tonna went one further. Schembri already had companies in the British Virgin Islands at the time he became chief of staff to the Prime Minister, and after he got into government, he had Brian Tonna restructure them for even greater secrecy, ramping up the nominees and the walls of impenetrable privacy. They thought that their cover would never be blown. Nobody could have foreseen that Mossack Fonseca would be subjected to a massive cyber-raid on its server, or that the documents would end up in the hands of a German national newspaper which would call in people who knew how to handle them and make them searchable. 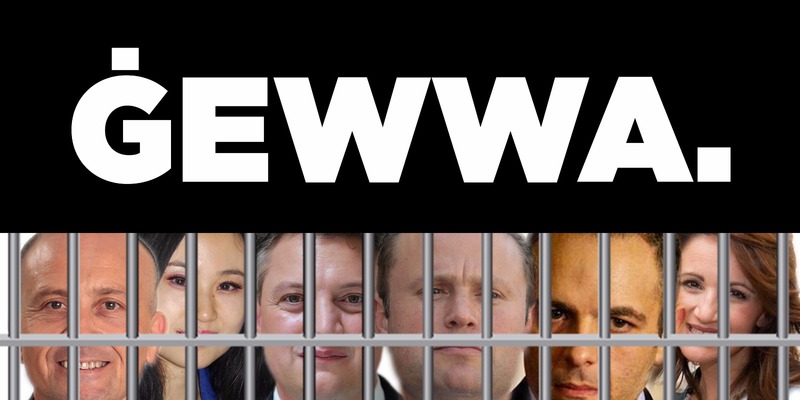 Brian Tonna, Keith Schembri, Konrad Mizzi and Joseph Muscat set out geared up to cheat us and lie to us, to defraud the government they run, to defraud us. The denials of cheats are worth nothing, and certainly not before a general election in which they are fighting for their political lives and to survive into another term of government so that they can avoid investigation and prosecution and carry on with their roadmap of defrauding Malta.